In May 2018 the General Data Protection Regulations is due to take effect. As said in our ‘What is GDPR?’ blog, everyone must comply or you could face significant fines. There are many ways you can secure your network and devices on your journey to becoming GDPR compliant. Microsoft has an extensive expertise in protecting data, privacy and complying with regulations. They currently comply with both EU-U.S Privacy Shield and EU Model Clauses. 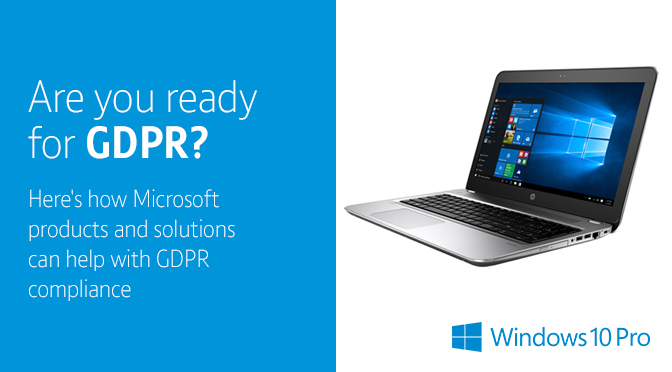 Microsoft can help you to focus on your core business while efficiently preparing for the GDPR. Think about the above quote for a second, when it’s sunk in, you’ll realise how much we can actually access the internet. Now think about what could be in the ‘Deep web’. Would you like all your clients’ data to ‘get lost’ in there? No, neither would we. Reasons like this are why the GDPR has been put in place. To keep everyone’s personal data safe. Including our own. If you need proof of how effective SonicWall’s Capture Lab is then look no further than the recent malware attacks that hit the UK. WannaCry Ransomware attacked in May and NotPetya hit the UK in the last month. Both of these malware attacks caused catastrophic damage to many organisations including the NHS. Now, with recent information stating that the attacks on the NHS could have been easily avoided, it is so important, now more than ever, to make sure you are protected. With that in mind, many SonicWall customers with active security subscriptions were largely unaffected.